Review In A Nutshell: The Darkest Minds is a beautifully written book that will definitely stick with you. The Darkest Minds takes place in a dystopian United States, where a disease has killed 98% of the children in Ruby’s generation, and the other 2% were left different, with powers they have no idea how to control. Ruby has been trapped in a cruel government camp with thousands of other kids for the past six years of her life, pretending to be less powerful than she is in order to stay safe. When she manages to escape, she joins up with three other kids like her, Liam, Chubs, and Zu, and decide to search for the mysterious East River, run by someone known as the Slip Kid; a place where they can finally be safe and unafraid of being chased by bounty hunters or brought back to the terror they escaped. I absolutely love the setting of this book. Dystopians definitely died off a few years ago, and I don’t typically reach for them, but this one is so great. What really stands out about this setting is how realistic and possible it is. With most popular dystopians, you don’t see the downfall of the society. It usually takes place decades or centuries before the story begins. But with The Darkest Minds, the story shows how the U.S. came to be the way it is and makes its descent feel that much more possible. Children being put in camps, walls being built, it’s all chillingly real. Alexandra Bracken’s writing style is gorgeous. She includes the perfect balance of elegance and humor, making this book so fun to read. The pace is fast, with plenty of action and witty dialogue. I had so much trouble setting this book down at times. Honestly, he’s such a complex and interesting character, I can’t wait to see where he goes in this series. Chubs and Zu are also amazing and fun characters that I look forward to seeing more of. I loved the romance plotline. It really doesn’t take up too much of the book, but it’s still adorable and I really am dying to see what happens in Never Fade (that ending killed me). My only issue with the characters was that I had trouble connecting with them at times. Maybe that’s because I was in a bit of a reading slump. 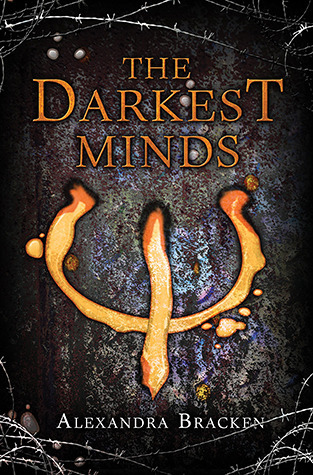 The Darkest Minds is a brilliant read that is sure to grab you.